Imagine being able to look back forty years at any given place – at any given time – and see how it’s changed. How much would you pay for that? Fortunately, Landsat data is free to download on the USGS Earth Explorer. 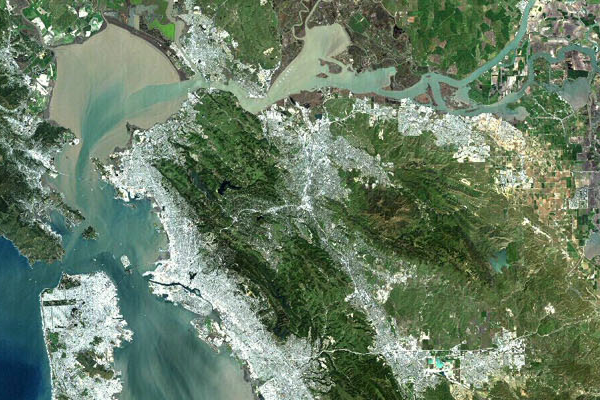 The Landsat program is an archive of Earth images. It is a series of satellites that have become a national treasure. There’s a commitment to Landsat data to ensure there’s continuity. This is why Landsat-8 has been named the Landsat Data Continuity Mission (LDCM). A Landsat scene collected at this moment may have little value. But 100 years from now, there might be a burning question at a given place. This information exists and it’s for the world to access. Today, you can take a picture back in time from Landsat-1 since 1972. If this doesn’t blow your mind, I don’t know what would. There’s been 8 Landsat satellites. One of them didn’t make it in orbit but the other seven satellites did. Landsat-9 is planned in 2023. It all began with Landsat-1 in 1972. Originally, Landsat was named Earth Resources Technology Satellite (ERTS). However, it was changed to Landsat. Now, Landsat-8 is called the Landsat Data Continuity Mission but the community generally refers to it as simply Landsat-8. One of the neat web viewers to look at near real-time colection of satellite images is the USGS Earth Now Viewer. His new feature shows where in space Landsat is positionally with streaming data. Landsat has persistently enhanced the number of spectral bands and spatial resolution over the years. Over the years, it’s also ensured similar spectral resolution for each Landsat satellite. 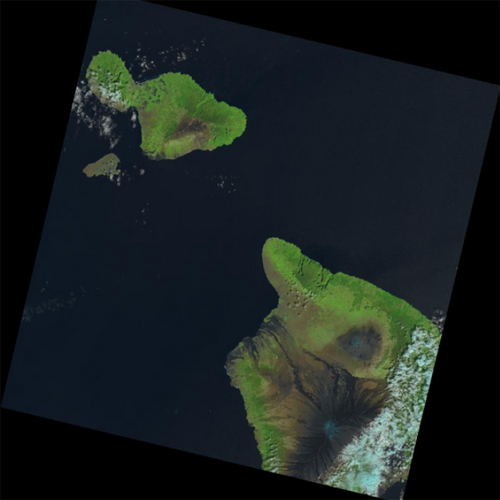 From Landsat-1 to 3, the multispectral scanner collected data in four bands at 60 meter resolution. But over time, spectral and spatial resolution has gradually sharpened. Landsat-8 collects 11 spectral bands varying from 15 meter to 100 meter resolution. Operational Land Imager (OLI) generates 9 spectral bands (Band 1 to 9) and is onboard Landsat-8. OLI images can discriminates vegetation types, cultural features, biomass and vigor, etc. Thermal Infrared Sensor (TIRS) consists of 2 thermal bands with a spatial resolution of 100 meters. TIRS measures Earth’s thermal energy particularly useful for tracking how land and water are being used. Enhanced Thematic Mapper Plus (ETM+) is a sensor equipped on Landsat-7. It generates 8 spectral bands in blue, green, red, NIR and mid-infrared (MIR). Bands 1-5 and 7 have 30 meter resolution. The panchromatic (band 8) has 15 m resolution. The thermal band has 60 meter resolution. Thematic Mapper (TM) was a high-resolution scanner on Landsat satellites (Landsat 4 and 5). It collected images in visible, near infrared, mid infrared and thermal bands with a spatial resolution of 30 meters. Multispectral Scanner (MSS) collected data in green, red and two near-infrared bands with a 60 meter pixel size. The swath width was 185 km with 18 day repeat coverage. It’s almost too good to be true. Not only does Landsat data span over 40 years, but it’s also global and freely available. It doesn’t get much better than this. 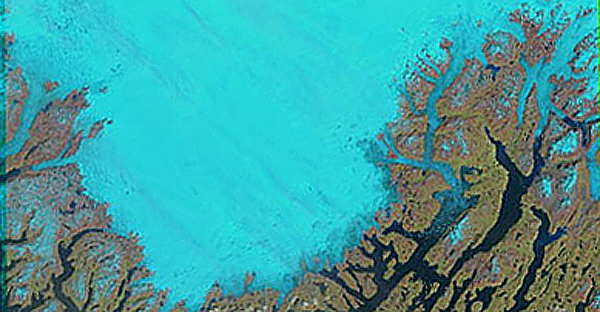 How can you get your hands on Landsat data? The USGS has developed a simple, intuitive webmap interface called the USGS Earth Explorer. 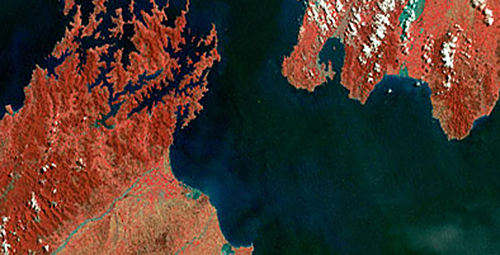 Users can create their area of interest and search through 40 years of Landsat data. Filter Landsat Archive, Landsat CDR, Landsat Legacy or Landsat MRLC imagery in the Data Sets tab. Filter cloud cover, spacecraft or day/night in the Additional Criteria tab. Where can I download Landsat-1 data? Landsat launch sites have always been the Vandenberg Air Force Base. Landsat-1 was never meant to be named Landsat-1. It was actually first named Earth Resources Technology Satellite (ERTS). But we now call it Landsat-1. In 1972, Landsat-1 paved the way as being the first Earth observation satellite of the Landsat program – which is THE longest running space-based Earth observation program on the planet. 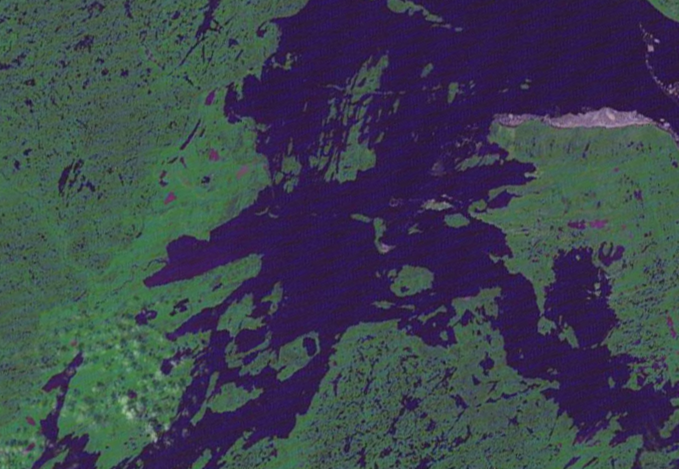 What was the name of the island discovered by Landsat-1 in Canada? 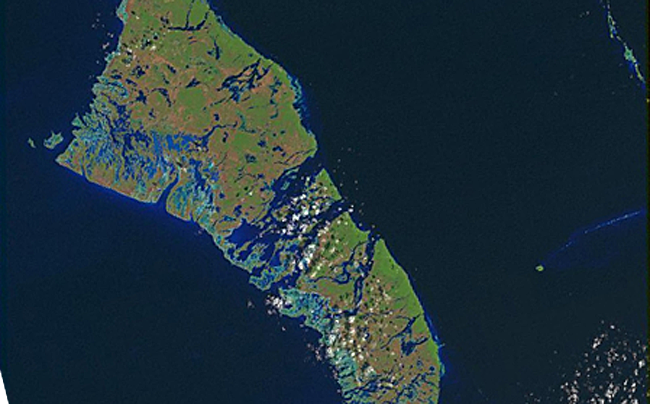 It was named “Landsat Island” shortly after it was found by Landsat-1. It was found off the northeast coast of Labrador during analysis of Landsat-1 imagery. It all began with Landsat-1 in 1972. Landsat-1 paved the way as being the 1st Earth observation satellite of the Landsat program – the longest space-based Earth observation program on the planet. Landsat-2 was the second mission of the Landsat program and was launched on January 22, 1975. It was equipped with a Return Beam Vidicon (RBV) and a Multispectral Scanner (MSS). The MSS collected data in green, red and two near-infrared bands. The swath width was 185 km with 18 day repeat coverage. What is the resolution of Landsat-1 imagery? The green, red and near-infrared bands have a resolution of 60 meters representing a single pixel. 1975 marked the launch of the 2nd Landsat mission. Landsat-2 was equipped with a Return Beam Vidicon (RBV) and a Multispectral Scanner (MSS) – green, red and two NIR bands (60 m resolution). Landsat-3 was the first satellite of the Landsat program to be equipped with a thermal band. Although, this instrument failed shortly after the launch, Landsat-3 was able to collect multispectral data in green, red and two near-infrared bands. In total, it took Landsat-3 about 18 days to scan the entire Earth. Are there any differences between Landsat-1/2 and Landsat-3? Yes. The key difference is that Landsat-3 had a thermal band. The thermal band malfunctioned during the start of the mission. Landsat-3 was nearly identical to its predecessors. Landsat-3 was the first satellite of the Landsat program to be equipped with a thermal band, which shortly failed after launch. Landsat-4 is the fourth mission of the Landsat program and was the first satellite in the Landsat program to incorporate the Thematic Mapper (TM) sensor. The Landsat TM sensor gathers seven bands of data. This is superior to the four bands of data collected from the multispectral scanner in Landsat-1, 2 and 3. In addition to the three additional bands, spatial resolution has also improved. Bands 1–5 and 7 each have a spatial resolution of 30 meters. Band 6 (Thermal infrared band) has a maximum spatial resolution of 120 meters. It took Landsat-4 approximately 16 days with a 185 km swath to scan the entire surface of the Earth. What is the Thematic Mapper? The Thematic Mapper (TM) on Landsat-4 revolutionized the Landsat satellite. Instead of three spectral bands collected by Landsat-1/2/3’s multispectral sensor, Landsat 4’s Thematic Mapper collects seven. The sharpened pixels (30m image resolution) on Landsat-4 has also greatly increased. This gives scientists a better understand of Earth’s features. What is the resolution of Landsat-4 imagery? The green, red, blue, mid-infrared and near-infrared bands have a resolution of 30 meters. The thermal band is coarser (120m). Landsat-4 added the Thematic Mapper (TM) sensor with 7 spectral bands – blue, green, red, NIR-1, NIR-2, thermal and mid-infrared at 30 meter resolution. I don’t think there is anyone who can explain why Landsat-5 was so durable. Landsat-5 is recognized in the Guinness World Records for the longest operating Earth observation satellite in history operating for nearly 30 years. With a three-year design life, no one could have imagined its longevity a quarter of a century after. Landsat-5 collected imagery for major events including Chernobyl, the devastating tsunami in South Asia, devastating snowstorms in Quebec, the Birmingham Tornado in 1998 and deforestation in tropical regions. Is it true that the Landsat-5 mission was the longest running satellite in space? Yes. Landsat-5 was launched in 1984 and deactivated in 2013. Incredibly, this makes almost 30 years in orbit – a Guinness World Record. What are the spectral bands and resolution of Landsat-5? The blue, green, red, mid-infrared and near-infrared bands have a resolution of 30 meters. The thermal band is a 120 meter resolution. Landsat-5 operated for nearly 30 years, holding the world record for longest Earth-observing satellite mission in history. 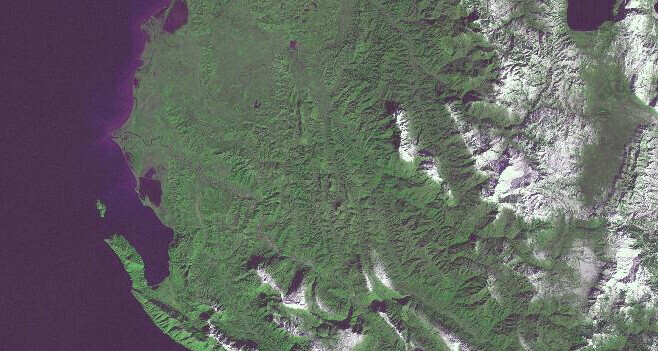 Landsat-5 images are consistent with its predecessor. Unfortunately, Landsat-6 was the only satellite in the Landsat program that failed to reach orbit. A press release from NOAA attributes a ruptured manifold to be the primary reason for its failure. This rupture prevented fuel from reaching the satellites stabilizing engines. Landsat-6 was supposed to scan the Earth with the upgraded version of TM – Enhanced Thematic Mapper (ETM). This would add a 15 meter panchromatic band. The other 7 spectral bands remained 30 meters ground resolution. What were the technical details of Landsat-6? NOAA attributed the failure to a ruptured manifold. This rupture prevented fuel from reaching the satellites stabilizing engines. Landsat-6 failed to reach orbit in 1993. It was set to carry the Enhanced Thematic Mapper (ETM) which added a 15 meter resolution panchromatic band. Landsat-7 is the 7th satellite of the Landsat program. Landsat-7’s primary instrument is the Enhanced Thematic Mapper (ETM+). ETM+ added a panchromatic band with 15 m ground resolution (band 8). Landsat-7 continues to capture visible (reflected light) bands in the spectrum of blue, green, red, near-infrared (NIR) and mid-infrared (MIR) with 30m spatial resolution (bands 1-5, 7). Landsat-7 also has a thermal infrared channel with 60m spatial resolution (band 6). In May 2003, there was a mechanical failure in the Scan Line Corrector (SLC). Landsat-7 images resulted in partially missing data because of the SLC failure. What is the Enhanced Thematic Mapper (ETM+) on Landsat-7? The Enhanced Thematic Mapper (ETM+) added a panchromatic band which spans the entire visible spectrum. The panchromatic band has 15 meter resolution pixels. What are the effects of the malfunction in the Scan Line Corrector (SLC)? Approximately 20% of Landsat-7 images will be missing as a result of the SLC malfunction. Landsat-8 has also been named the Landsat Data Continuity Mission because the continuity of observations of Earth from space is a critical part of the science of land use and climate change of our transforming planet. Landsat-8 was launched on February 11, 2013 from the Vandenberg Air Force Base in California. Landsat-8’s primary two sensors are the Operational Land Imager (OLI) and Thermal Infrared Sensor (TIRS). These two instruments combine to generate 11 total spectral bands. Seven of the eleven spectral bands are basically consistent with ETM+ found on Landsat-7. Landsat-8 bands are coastal, blue, green, red, NIR, SWIR-1, SWIR-2 and cirrus. These 8 bands have a ground resolution of 30 meters. The panchromatic band spans a larger spectral range and has a resolution of 15 meters. Two new bands (band 10 & 11) from TIRS are long wavelength infrared. These bands have a coarser resolution of 100 meters. What are the Operational Land Imager (OLI) and Thermal Infrared Sensor (TIRS) sensors on Landsat-8? These two instruments combine to generate 11 total spectral bands. These bands consist of the following: coastal, blue, green, red, NIR, SWIR-1, SWIR-2, cirrus, panchromatic and 2 long wavelength bands. Why was Landsat-8 originally named the Landsat Data Continuity Mission? Landsat-8 added an Operational Land Imager (OLI) and Thermal Infrared Sensor (TIRS) sensors. These sensors combine to generate 11 total spectral bands at 15, 30 and 100 m resolutions. NASA and USGS are working on Landsat 9 for an expected launch in 2023. The launch of Landsat-9 will extend Landsat program’s record length to half a century. Because Landsat provides consistent images of the Earth, Landsat-9 will largely replicate its predecessor Landsat 8. What spectral bands and other details are there on Landsat-9? Landsat-9 will consist of optical and thermal sensors comparable to the OLI and TIRS instruments. NASA and USGS have started planning the launch of Landsat 9 with a launch year of 2023. Landsat-9 will extend the Earth-observing program to half a century. Landsat along with GPS and weather satellites have been deemed the three most critical types of Earth orbiting satellites by the White House. This is because they’re used for civil applications to grow the economy and in research. We are just starting to understand the value of Landsat when scientists examine the retreat of mountain glaciers. This may have not been understood 40 years ago. Insurance companies use Landsat to understand seeded crops and fight insurance fraud. Firefighters assess the severity of wildfires to better concentrate efforts. Ecologists track deforestation in South America’s rainforests. Urban planners watch the growth of cities worldwide. Landsat 5 was the first satellite to confirm the Chernobyl disaster in Ukraine when the nuclear power plant exploded in 1986. Landsat offers a chance like no other to better understand data-driven industries and natural resource science. Agricultural, forestry, geology, hydrology, geography, cartography, environment, climatology, oceanography and meteorology – Landsat plays a role in all of these sectors and more. What is the Landsat program website? The official Landsat Program website is NASA’s Landsat Satellite Program webpage. Hello. Many thanks for your very interesting and useful post. I have just one basic question. Why does Landsat CDR not appear as possible choices in the list on Earth Explorer?